• that the works should at best entail some instructive message that will improve the viewer’s mind or moral values; or at least that the work should not violate conventional moral and social values. • realism -- the notion that the purpose of art is to be true to objective reality. Although much Modern art looks "unrealistic," some Modernist artists and critics argued that the conventions above are just that: artificial conventions, which must be broken in order to be more true to reality. How can the innovations evident in the Courbet and even the Turner below be justified as "more realistic" than the Couture? • expression -- the notion that the purpose of art is to capture and convey a subjective, emotional feeling. For some Modernists, the artist has to depart from the facts or actual appearances of events in order to more powerfully move their viewers' emotions. 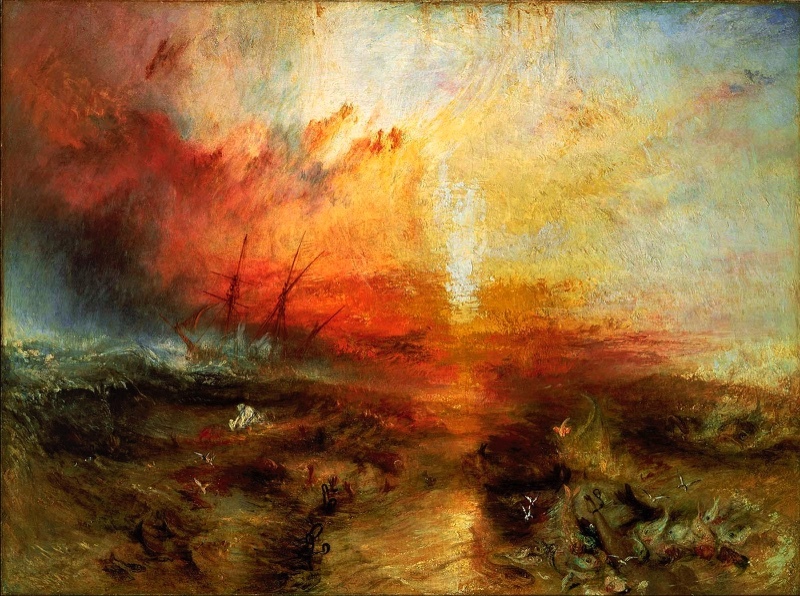 How can innovations in the Turner below be justified as being "more expressive" than a conventional Academic-style representation of a storm at sea? 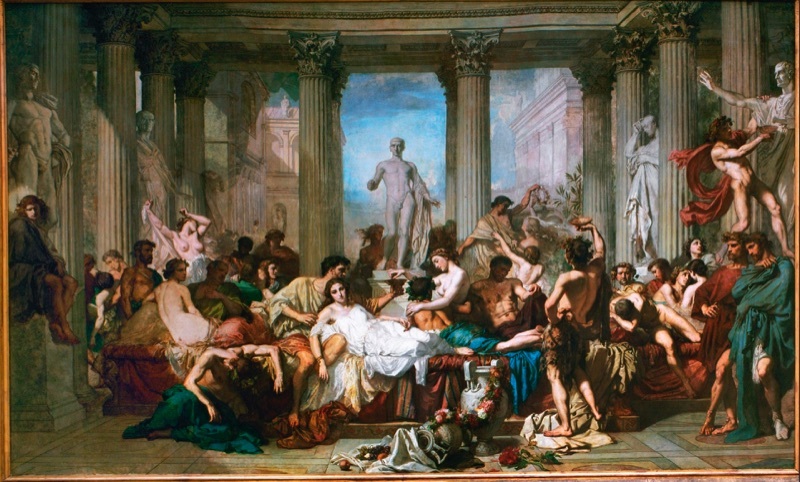 • social agency -- the question of how art affects viewers' attitudes and behavior: how it improves or corrupts their moral values; confirms or questions their commonly-held beliefs; reinforces or erodes the authority of their leaders, and so forth. The social agency of traditional (Academic) art was to support the status quo and the ruling elite; the social agency of Modernist art was increasingly to criticize, question, and attempt to alter the status quo. How is the Couture below highly conventional and socially acceptable in terms of social agency? 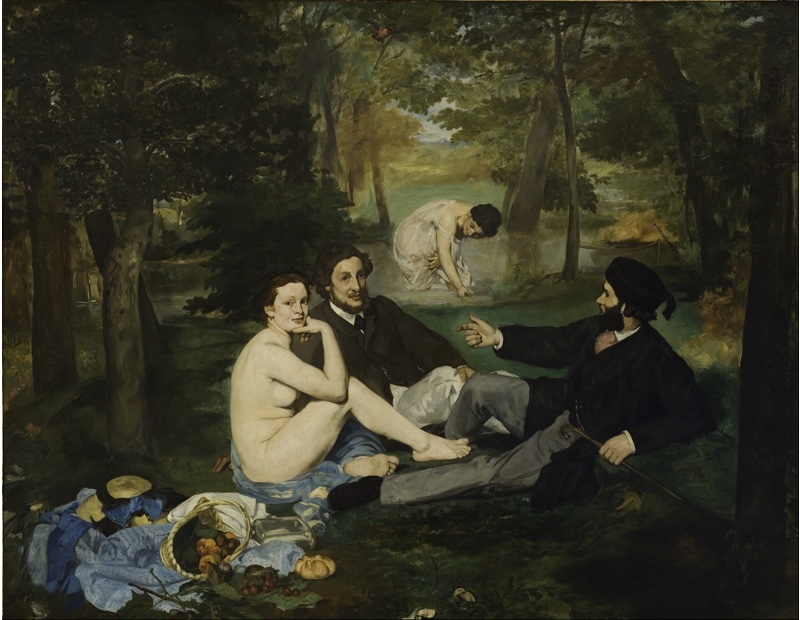 How is the Manet more radical in that regard? • formalism -- the notion that the essence of art is in its inherent aesthetic (sensory) qualities: painting should be about colors and shapes on a flat surface; sculpture should be about three-dimensional forms in space, and so forth. This is perhaps the most unfamiliar concept we will be working with this semester, and we'll clarify it a lot more, but Whistler is a good example of a formalist inasmuch as he insisted that the purpose of his works was not to be realistic representations of the things he depicted, but instead just beautiful formal "harmonies" of color. We'll be working with all of these concepts throughout the semester, so be sure you have a good grasp of them.